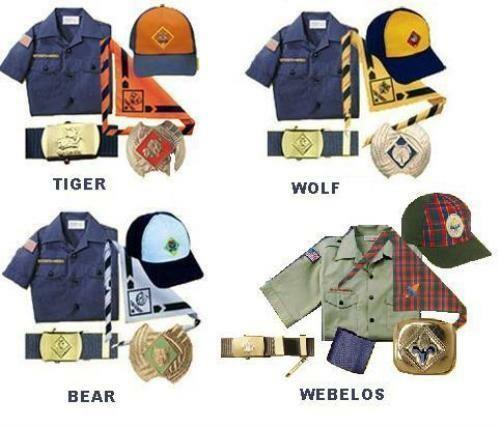 The Cub Scout uniform ("Class A Uniform") is an important part of being a Cub Scout. Wearing it lets people know that the wearer is part of the Boy Scouts of America in addition to their Den and Pack. The official uniform should be worn to Pack meetings and any special Scouting activities. When you wear the full Cub Scout uniform, it shows you are a member of the team. 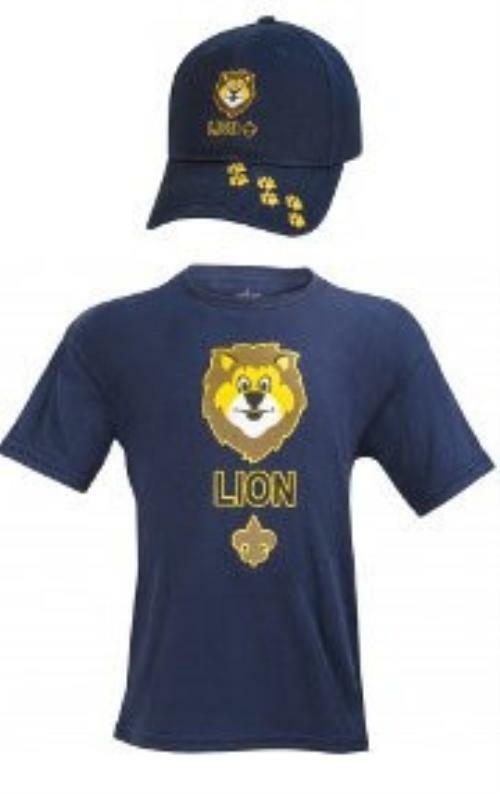 The official uniform for Cub Scouts includes blue Cub Scout pants or shorts and shirt with insignia for your rank. Each rank has its own cap, neckerchief and slide in the rank colors and a belt buckle to be worn with the blue Cub Scout belt as shown below. For reference on patch placement, please see the "Class A Patch Placement" document for download at the bottom of this page. Shirt-The official uniform shirt is available with long or short sleeves and has button-flap pockets and “Boy Scouts of America” lettered in gold above the right pocket. Belt-Official navy-blue web belt with metal buckle and Tiger, Cub Scout, or Webelos Scout emblem. Socks-Official socks are available in three lengths: ankle, crew, and knee. Tigers’ socks are navy blue with orange tops. Cub Scouts’ socks are navy blue with gold tops. Cap-Official navy-blue cap with orange front panel and tiger cub emblem for Tigers; yellow panel and wolf emblem for Wolf Scouts; blue panel and bear emblem for Bear Scouts. Webelos Scouts wear an olive cap with a plain panel bearing the Webelos logo. Neckerchief-Triangular neckerchief is orange with navy-blue trim for Tigers, gold with navy-blue trim for Wolf Scouts, light blue with navy-blue trim for Bear Scouts, and plaid for Webelos Scouts. Official BSA neckerchiefs are the only neckerchiefs that Scouts should wear. Packs should not make their own pack neckerchiefs. Neckerchief slide-Official gold-tone metal slide with the Tiger, Cub Scout, or Webelos Scout logo. Scouts may wear handmade neckerchief slides. Blue Epaulet (on Webelo and leader uniforms)-Blue loop that is attached to the shoulder of the uniform shirt. Class B is the nickname for the "Activity Uniform"; i.e. scouting related t-shirt. Pack 417 will supply each Scout with one Class B t-shirt when they join the Pack, there will be opportunities to purchase additional t-shirts and other Class B items once a Scouting year.